With the summer heat searing the Midwest, South and East Coast, I though that I would show some of my Summertime Blues. Time to Think Cool! Ahhh! Think of a cool summer shower, a foggy day or snow. Hope these blue flowers from my garden will help. This is my Raja getting his first taste of snow last winter. He loved it. 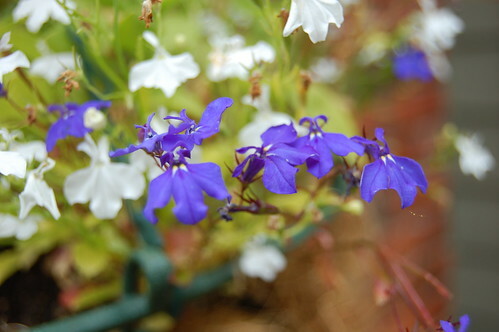 These bright blue lobelia in a basket. My Clematis Crystal Fountain is having a second flush of bloom. This bloom is even bluer than the first one. 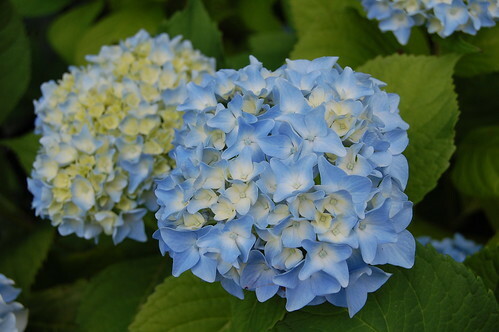 My lighter blue, more delicate blue hydrangea. 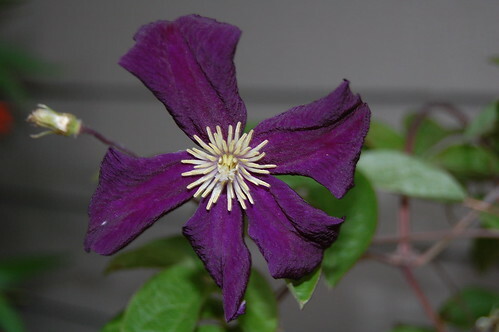 Again, my newest clematis acquisition, Clematis Romantika is a lovely shade of dark blue purple. 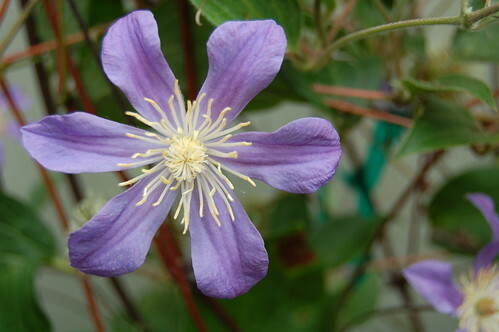 Clematis Julii is still blooming, but the blooms are a little smaller now. 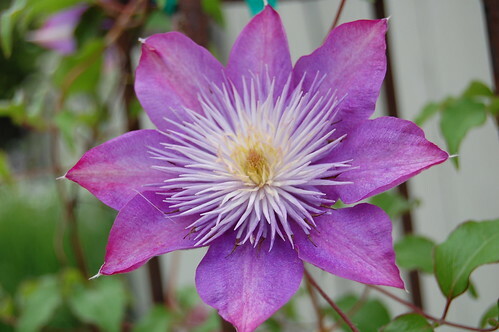 My Clematis Jackmanii is now in full bloom. Just lovely. The snow white bloom of my White Rose. 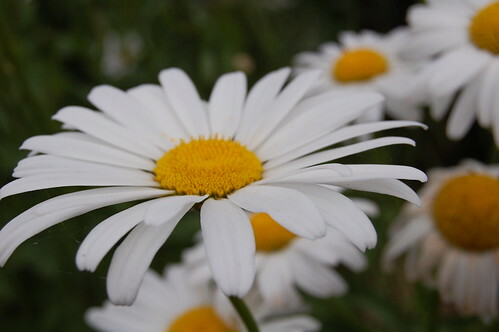 Even Mid-Summer flowers like Shasta Daisies have a cool, soothing white bloom. 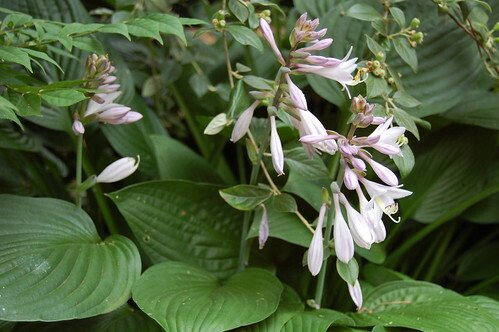 My hosta, set in a cooler, shady spot in the garden blooms in white with a bluish cast. Drumstick Alliums say Summer, but the color is a darker and cooler purple. 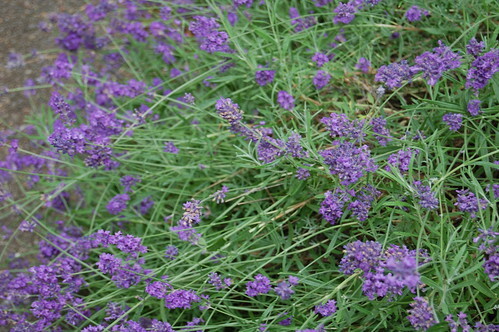 And, again, my Lavender, which is not only a cool blue, but the scent is calming. 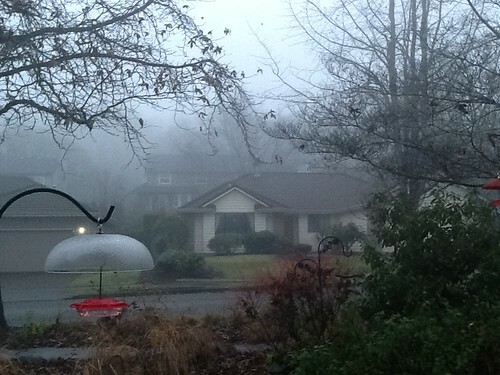 Last, but not least, is a look at a cool foggy morning here in the Northwest from last spring.
. Monitor the time you or your family members stay out in the heat, especially babies and the elderly.
. Drink plenty of water to avoid dehydration.
. Avoid caffein or alcohol. These dehydrate you.
. Wear cotton rather than synthetics. It can breathe, while synthetics can’t.
. Exercise in the cooler times of the day.
. Use moistened towels or other cloth next to your head or body to cool you down.
. Keep a spray bottle filled with water handy. Even better, have one refrigerated on hand.
. Take frequent tepid showers or baths on hot summer days.
. Store your cosmetics in the refrigerator. This can be refreshing and soothing when applying them.
. Make use of fans to keep air circulating.
. If you don’t have air conditioner, go to the mall or theater part of the day. Yeah, I like this. Good to know where to come to learn about the different flowers. We don’t have the same flowers here, so it’s especially fun to see the variety in other places. I love learning the names. Little by little I’ll get there. That drumstick allium is just so interesting. Thanks for taking the time to share them all. Liz, Thanks and thanks for coming by. summer is such a wonderful time. 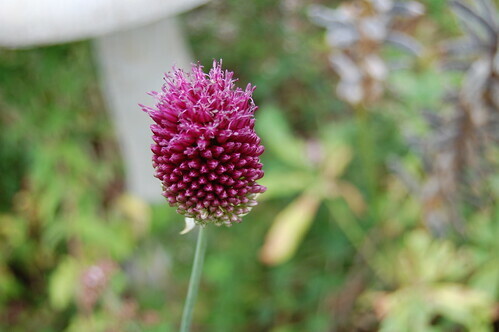 I particularly like my alliums. The drumsticks start blooming quite a bit a father my others and seem like such a happy flower. You have so many pretty flowers in your garden. It’s been too dry here that it’s been hard on the gardens. That heat and drought are really getting to people’s gardens. Hoping that you get some relief soon. Loving your blues! Your garden is a joy I am sure. 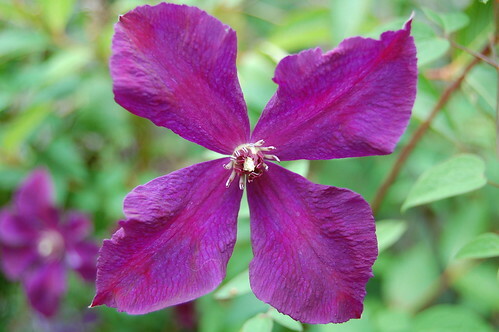 I love Clematis and you have so many lovely ones. 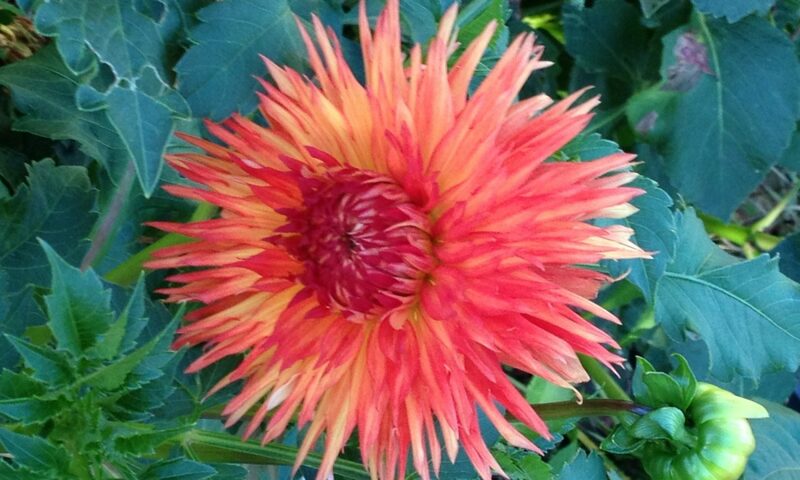 Thanks so much for sharing your gorgeous blooms and tips with Share Your Cup. Lovely series of photos! Enjoyed my visit here! Thanks ans thanks for coming by and for hostessing your blog party . I’m so impressed by all your beautiful flowers. They are so lovely. Thanks and thanks for coming by. I can’t wait to try those pretzels of yours. Thank you for your kind comment. I was hoping to give at least some visual relief from the heat. Hoping that you manage to stay cool and that your rains will continue to give you some relief. I am visiting from A Rural Journal! Your flowers are beautiful; the hydrangea and daisy are my favorite. Thanks nd thanks for coming by. I love my daisies too. 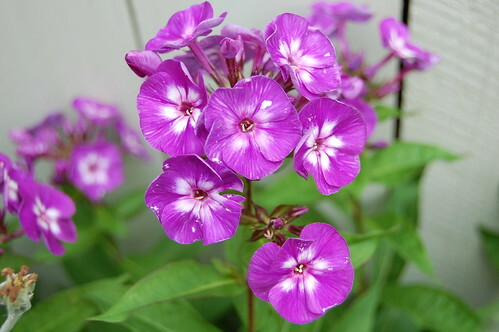 They are the perfect perky flower and rebloom nicely. Thank you and thanks for your comment. You have a wonderful week yourself. Your flowers are beautiful! The blues do seem to be cooling and calming. Thanks, and thanks for coming by. Glad that the blues do give a bit of respite, even if the weather doesn’t. Have a wonderful week and stay cool. Thanks for coming by. Glad you like the snow and fog. We need a little cool, if only visually in a hot summer like this one. Your flowers are so lovely, Yael, and that blue hydrangea–I love that color so much. I bet they make glorious flower arrangements! Thank you for stopping by my blog today for a visit–it was nice to hear from you! 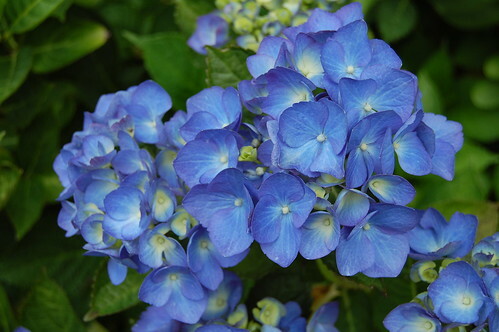 I love the blue hydrangea. I have a more delicate and lighter colored one too. They look very nice together and with other flowers too. Someone in my neighborhood has an even darker one that I lust after, but we have no more room for hydrangeas. I love when animals experience something for the first time with confusion and amazement! We waited with my iPad set for video to capture his big moments. We expected him to do the feet picky uppy thing, but he didn’t. 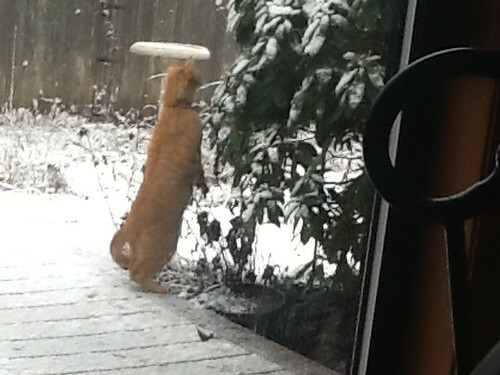 He stood up like a Meerkat and then went running out into the white stuff. It was fun to see. Thanks for coming by and thanks or our comment. Hoping that you have a wonderful weekend. Lots of beautiful blooms. We have had extreme heat in my part of Ontario, Canada also. One day the temperature was well about 35 Celsius and with the humidex it was about 44!!! The gardens are beginning to show the strain of no rain. Thanks and thanks for stopping by. Goodness, it sounds like you have gotten hammered too. Hoping for a little cool weather to come your way. Cool. Literally. What pretty pictures. Hope this hot weather doesn’t last long for you guys. Thanks. We have had heat, but have been fairly lucky compared with some people in the East and Midwest. Here is hoping you get some respite. Blues are cool; yours look super cool. I’m thinking of a white garden next year that I can see from the side door, maybe with some hydrangeas for color. Your hydrangeas are lovely. 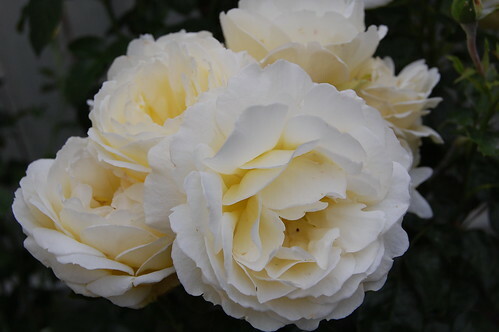 It is very beautiful and cooling in your garden. Thanks. Trying to stay cool however we can, if only visually. We have been blessed compared to some, and this morning is quite on the cool side, but will heat up when the clouds burn off. Hoping you have a wonderful weekend.